Want Your Castle? Your Business Needs A Moat Around It!Want Your Castle? 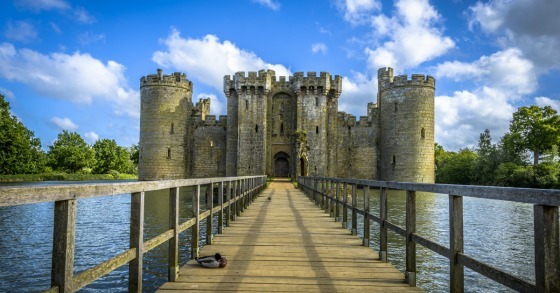 Your Business Needs A Moat Around It! Want Your Castle? Your Business Needs A Moat Around It! Einstein believed that the eighth wonder of the world was compound interest. The benefits of compounding are so powerful not only when it comes to money, but also good habits. They build on each other through incremental gains and eventually it snowballs into different forms of competitive advantage whether it be financial, health, productivity, knowledge, etc. Einstein feared that capitalism would result in an extraordinary and dangerous concentration of wealth due to the effect of compounding. Charlie Munger, on the other hand, holds a very different view. Drucker believed that very few private monopolies can last longer than 10 to 15 years. 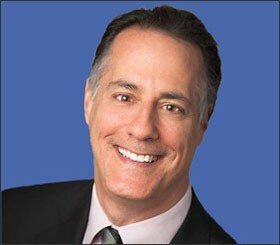 They become too inward focused, stagnate, lose sight of their customers’ evolving needs and become ripe for what Jeff Bezos has famously said, “Your margin is my opportunity.” And boy has he made good on his word as he has revolutionized retailing by creating the most powerful internet shopping and delivery ecosystem in the world. He is doing the same in managing the cloud for companies. People would argue that Amazon has led to the destruction of many jobs. Tell that to downtown Seattle where Amazon will have 50,000 workers (many of them high paid) and it has led to the revitalization of a previously downtrodden area that is now blossoming with thousands of new residential units, new office buildings, and retail and dining establishments. It has also led to a huge buildout of warehouses across the country and an increase in workers to staff those warehouses and deliver the goods. Business people and capitalism sometimes do deserve criticism when the focus is on self-enrichment of those running the show and owning the companies at the expense of long-term sustainability of the business. On the other hand, many businesses have been at the forefront of important changes for the betterment of humanity. This list does not even talk about the tremendous breakthroughs made in medical care and disease management and treatment, the exponential advances made in solar power, the advent of driverless cars and what this could mean for society, just to name a few. Businesses have incentives to lower costs, increase convenience, and develop goods and services that improve the quality of life for people. There is too much capital and too many entrepreneurs and innovative companies out there to allow for producer surplus to remain without others trying to weaken these moats. Yes we have Apple, Facebook, Google, and Amazon that have amassed enormous profits, market power, and financial strength and it is incumbent upon regulatory bodies to make sure that their power is not being wielded in ways that stifles competition or harms consumers, but these companies were built by fanatics who never rested on their laurels. They know that they must continue to keep innovating and delivering value or other players will encroach on their territory. Innovation and investment are in their DNA. So what is the point of all of this? It’s actually a long-winded preamble to get to something I wanted to share and thought was quite fascinating. Most people equate the large businesses that dominated the American economy in the late 1920s and early 1930s as ruthless with regard to their treatment of labor and attempts to gain market share. In other words, these were the businesses that were perceived to be run by brutal, “profits at all cost” autocrats that had the concentrated power and wealth that Einstein worried about. Like most common perceptions there is some truth to them, but there is often more than meets the eye. When a particular issue captures my attention I sometimes like to go back and see if it was present during another time in history and research what people were thinking during those times and the actions they may have taken. My favorite tool for doing this is Newspaperarchive.com. One never knows what gems can be found from perusing through old newspapers there. The issue I’ve been noodling over is technology and job displacement. There has been understandable concern about what may happen to jobs for those who may be displaced by robots, other forms of automation, and driverless cars. Will the United States need less workers because of the productivity gains made from the deployment of these innovations? This was a huge concern during the 1930s as the United States was fighting through the Great Depression. There was tremendous public debate about this and great fear that the economy would never be able to put all the idle workers back into gainful employment because of labor-saving technological innovation. We have obviously been able to grow the economy and the number of people employed significantly since that time. It took a forceful government involvement with the New Deal, a world war, the rebuilding of the world led by the United States, the G.I. Bill, the building out of the interstate highway system and the explosion of suburbia and home ownership, a gigantic arms race with the Soviet Union and the massive increase in defense spending, expanding global markets, combined with tremendous private sector innovation and investment to have allowed for this to happen. What caught my eye when reading various articles from the early 1930s, however, was something I read related to a symposium that was held in late 1932 to gather various experts to discuss unemployment which was so prevalent throughout the country at the time. One of the panelists was the president of General Electric, which was quite large and powerful, even back then. 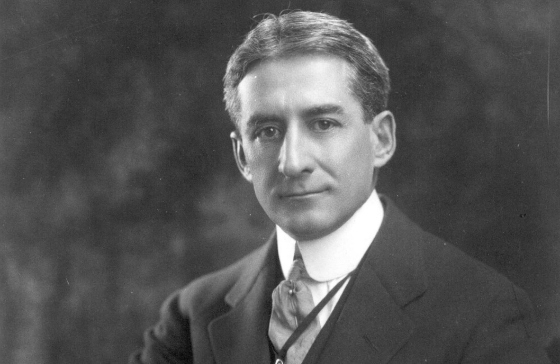 Gerard Swope was the president at the time and he made nine recommendations to help with unemployment and the risks posed by technological innovation to eliminating jobs. Remember, many people have low opinions of corporate titans and their focus on power and wealth at the expense of lesser fortunate members of society. This was especially true in the 1920s and 1930s. Swope is the antithesis of this. Below is an extracted portion of the article covering his nine points. I will reprint them below since the article is somewhat faint and difficult to read. Also, note at the beginning the MIT professor attributing one of the benefits machines is bringing more equality between men and women, another forward thinking idea at the time. Second, assurance for workers of minimum employment per year, adequate compensation for a standard of living “that we want to maintain and can maintain.” Employees to co-operate by laying aside part of their earnings for accident, invalidity, death, old age retirement and idle periods. Third, unemployment reserves where necessary. Fourth, sharing by employees of contributions to unemployment reserves. Fifth, sharing by employers of contributions to unemployment reserves. Sixth, a minimum waiting period before such benefits become effective. Eighth, such benefits over a sufficiently long period so that state or society relief or charity will not be needed. Ninth, provision for unemployment emergencies which “transcend” the safeguards of the other provisions. I honestly do not know if his recommendations were his own ideas or these were part of FDR’s platform since he had been elected by this time or just part of the national discourse. Most likely it was a combination of all of them. Regardless, here is a captain of industry recognizing that having safety nets for people who are out of a job or unable to work is good for society and ultimately good for business. Much of this ended up coming to fruition through legislation that created social security and other forms of support that were passed as part of the New Deal. In closing I would say that business can be a powerful force for good, competitive forces make it challenging for producer surplus to stay intact for long periods of time and the natural tendency is to shift to consumer surplus, and technological innovation is without question a threat to different pools of labor. This does not mean that wealth will not become more concentrated in the 1% of society, however. The opportunity that comes from this is to have them continue to give back in ways that can help the less fortunate or improve the quality of life for society at large. Living standards only improve by making productivity-enhancing investments. The best solution is to have a multi-pronged approach which focuses on having an adequate safety net for those who fall through the cracks and doing our best to having the most flexible, well educated and trained workforce in the world. This is the responsibility of both the public and private sectors. Warren Buffett said, I don’t want a business that’s easy for competitors. I want a business with a moat around it. I want a very valuable castle in the middle. Good competitive forces make it challenging for producer surplus to stay intact for long periods of time. As we have seen, huge benefits come into play when you have that moat around your business.